GIRLS as young as 13 with eating disorders, and who self-harm, are accessing 'thinspiration' websites to "feed" their disease, it has emerged. Calls have now been made for social media giants like Facebook and Twitter to pay for compulsory 'life lessons' in both primary and secondary schools. These would particularly help children and teenagers cope with anxiety and depression due to cyberbullying. 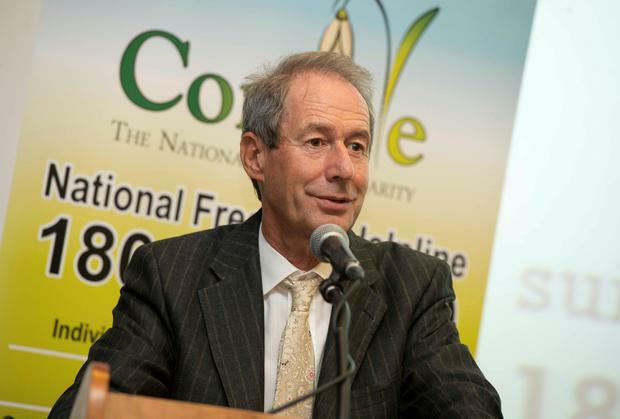 Irish GP, Dr Harry Barry, speaking at a conference organised by Console, Ireland's leading suicide prevention charity, warned self-harming has now reached "critical levels." Boys as young as 12 are among those seeking treatment. Dr Barry, who has over 30 years' experience working with young people between the ages of 13 and 25, said the majority of girls he sees with body image problems suffer from "deep emotional distress." "So many are self-harming. When they are cutting themselves, they're trying to temporarily relieve an emotional pain," he said. "The problem is that nobody has taught them how to handle their feelings. Self-harm is an initial response to emotional distress. Those affected don't know what to do, because they are unaware of how to deal with this problem. "Some of those who repeatedly self-harm find it can provide a 'buzz' or a 'high'. It's almost like an addiction. "Therefore, whenever a life problem comes up, cutting is akin to taking medication or alcohol, to temporarily relieve the emotional suffering." 'Celeb culture' represented by well-known showbiz figures, such as Kim Kardashian and Miley Cyrus, is also "playing havoc" with impressionable young girls who develop problems with food. Some as young as 13 have fully developed eating disorders. "Some girls handle their anxiety disorder by focusing on their appearance," Dr Barry told the Irish Independent. "So they are predisposed to being influenced by celebrity, and by the body image of some well-known female role models. This a major issue." Air-brushed images of models, and overtly sexualised content in pop culture, feed "their irrational beliefs." Accessing 'thinspiration' websites is also a "serious problem" among school-goers in Ireland. Dr Barry warned that anorexia sufferers find these websites can be a source of emotional support for their irrational behaviour. He called for the introduction of a dedicated module in all primary and secondary schools, which would teach young children the "skills" needed to deal with negative emotions. The initiative should be part-funded by social media companies, as well as by the Government, and parents need to be better informed on these issues, said Dr Barry, who was speaking at the Console World Suicide Prevention Day conference in Croke Park. Holding inquests in private risks increasing the "stigma" surrounding suicide, according to Junior Health Minister Kathleen Lynch. She was responding to a proposal from bereavement charity Console, which says a non-public inquest would make the process far less "intrusive" for families. Console CEO and founder Paul Kelly said we should look at the system currently operating in Scotland and Northern Ireland, where a public inquest is not held if it is not considered to be in the public interest - and if the authorities agree the death resulted from suicide. However, Ms Lynch said she would not like to do something that might "increase stigma." "We're a very small country and if, for instance, one inquest was held in public, and another in private, it wouldn't take a lot to deduce that the one being held in private was a suspicion of suicide," she said. Rachel Farrell GARDAI are investigating after a male cyclist (39) was assaulted by a group of men in Kilbarrack, Dublin 5 on Saturday morning.